One of the confusing things on Google Plus for people is the difference between a Google+ Local page and a Google+ branding page. Which one should you have and which one is better for your business? Google+ Local pages: These are pages that should be created for anyone that has a physical (brick and mortar) location. Do you own a coffee shop, wine store, retail business, restaurant or any type of business that people will walk into? If you do own a business that needs people to walk into your location – you need to create a Google+ Local page! These pages will use your physical address / location as verification. Google+ Branding pages: If you are a celebrity, public figure, author, website without a physical location, a blog, brand / product with multiple locations (Coke, MAC cosmetics, etc.) you will want to create a branding / business page. These pages will use your website for verification. 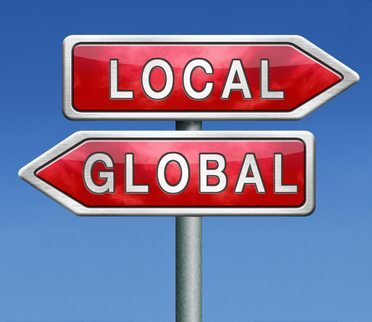 Why choose a Google+ Local Page over a Google+ branding / business page? Google+ Local pages will help you in local searches on Google. This is especially useful with mobile searches! Users who are using their phone to locate a good restaurant, good bar, Doctor’s office, etc … you will be included in these types of searches. Pro tip: Want to rank higher in this type of search? Make sure your customers know they can leave you reviews on Google+. It’s a great way to increase your ranking locally! Google+ Local pages will also allow you to see where (physical locations) people are coming to your location via the zip code / direction analytics. Pro Tip: This is great for seeing what types of print marketing is working especially if you center it around a specific location of the city. You can also see what keywords people are using to find your page … great information for your posts on this page too! Tips for creating a great local Google+ local page! 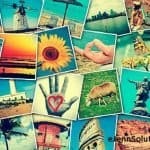 Upload great photos of your location. Make sure they are appealing to entice people to come in and check you out! Upload some very short interesting videos. Are you a bar? Show your staff in a video or create a cute cocktail video for people to see. Showcasing demos of a product or service work well too. Keep the video short, fun and moving along! Make sure all information is filled out – Contact information, Store hours (very important!) and parking information if able. Keep your “about” section keyword rich. This does NOT mean to stuff this section with keywords that don’t really talk about your business … keep it natural and easily readable. Upload videos … not just connecting your YouTube account … but uploading videos separately! Keep fresh content on this … Google+ is excellent for Google searches and your website content! Need help or want someone to create your Google+ Local or your Google+ business page? We can help! Contact us or schedule an appointment now!